Länstrafiken i Norrbotten AB, based in Överkalix, is responsible for all public transport by bus in Norrbotten County. The company is 50 % owned by Norrbotten County Council and 50 % by the municipalities in the county. 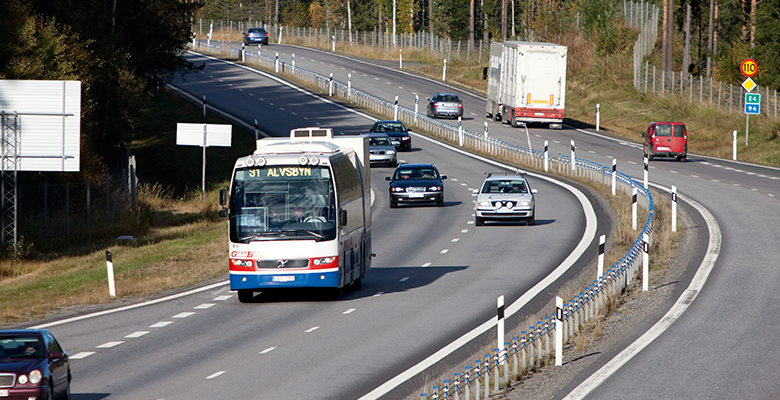 Services are provided by c. 40 independent bus companies under contract to Länstrafiken. The companies have a total of around 500 employed drivers, 250 buses and coaches and about 4 million passengers a year. Annual sales amount to c. 230 m kr. Länstrafiken works proactively with special environmental goals to reduce harmful emissions. For that reason the fleet is being upgraded with increasingly modern vehicles which run on green-classed diesel fuel.